We are excited to announce that we are planning and preparing to add a 23' tall, 2 lane commercial waterslide to the lineup of summer camp activities for 2018! Another water activity for campers to enjoy during the summer heat will be SO GREAT. It will increase our activity capacity, as our number of guests is outgrowing our pool capacity. Also, hosting multiple events at once will be much easier, since we can host one group at the pool and one group at the slide if needed. The picture above shows the slide model we have selected. The next few months will require much attention and wisdom directed toward this project. Please pray with us for a smooth process and financial provision as we step forward. 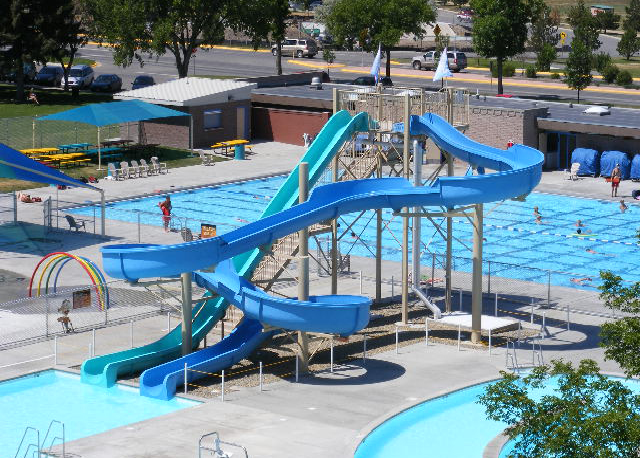 There are still quite a few details to iron out, two of the largest being the location of the slide, and whether to have a pool at the bottom or run out lanes. The two main factors we need to consider in planning are 1) accessibility and 2) expansion - it has been suggested that we choose an area that has space to add other water attractions if we ever want to do that in the future. Click this link to participate in a survey - we would love to hear your thoughts about the slide. We are estimating that the project cost will be $350,000. That is what we are currently praying to raise to cover the cost of this exciting addition. Click here to give a donation via paypal, either recurring or one-time. Please pray about how you can partner with us in this new ministry adventure. Adding the waterslide will assist us in the goal of giving campers an amazing week of Christian fellowship, centered around services where they learn to worship Jesus with their peers and seek to hear and understand His Word. Last summer, a teenage boy stopped me while his mom was checking him out of his five-day camp. His words to me were "Thank you for giving me the best week of my life." That boy is now a regular summer volunteer at Oakridge. Thank you to all parents, sponsors, churches, group leaders and financial supporters. You are integral to our goal of giving kids and teens amazing summer experiences focused on Christian fellowship and education. Now let's build a waterslide! Staff planning meeting for the project and future dreams!